The starting point to any thorough Termite Inspection in Brisbane is selecting a trusted company. Did you know our Termites Inspectors at Brisbane Termite Protection have over 8 years experience, are industry trained, company trained and licensed by Queensland Health and QBCC. 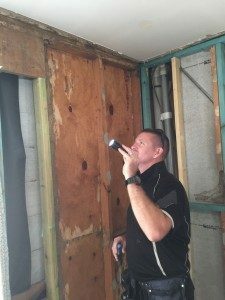 Australian standards As3660.2 have a list of recommended tools that an inspector should use during the inspection, we highlight a couple that Brisbane Termite Protection use; The Thermal Camera and a moisture meter. 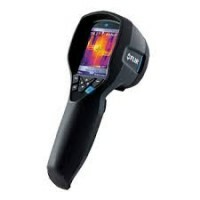 The moisture meter and thermal camera assist in the detection of moisture and water leaks within the property. As Termites need food and moisture to survive and they are highly motivated to get enough moisture to survive so avoiding an water pooling against the home or inside the property is important as termites do whatever it takes to get it. So in the meantime if you have any leaking taps, leaking showers or air conditioning units that release water against the house it would be beneficial to have these rectified by a Plumber to reduce the risk. Our Inspection and written report will identify all conducive conditions at the property, this will provide the homeowner valuable information about the Termite risks at the property and what can be done to reduce them. These areas may include; High soil and gardens against the exterior walls, loose timber in the subfloor, inadequate drainage and subfloor ventilation, high moisture in walls are just a few conditions that increase the risk of an attack. As a detailed Termite Inspection report can be 12 – 20 pages in depth, we provide colour photos in all our reports to ensure the report is easy to understand. 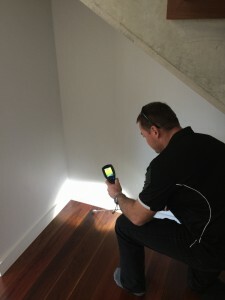 Every Termite Inspection carried out by our licensed and experienced Inspectors will include a Thermal Camera Inspection.